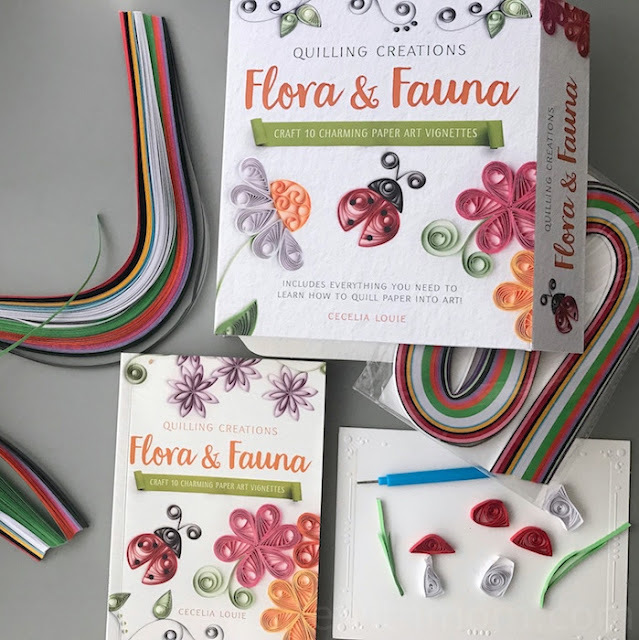 Quilling Creations: Flora and Fauna by Cecelia Louie includes everything we need to learn on how to quill paper into art! 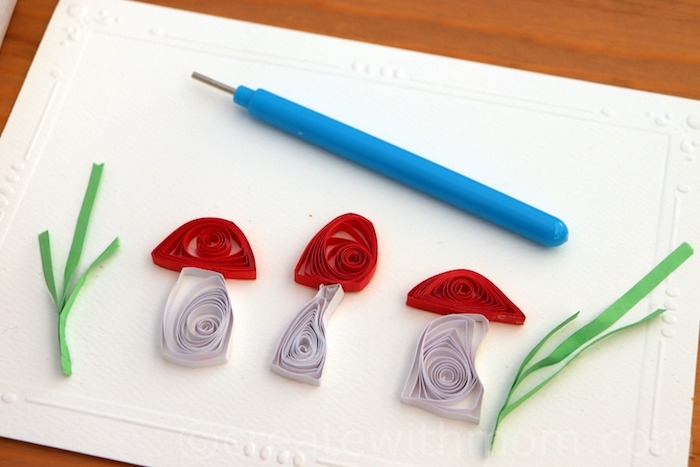 Ever since my first project a few years ago, I have loved doing quilling on a variety of surfaces. We love the paper craft of quilling, and always love both the process of doing this craft and the end results of our projects. We have done several projects from cards such as this quilled cupcake with a candle card, Plumeria blossom card, Dandelion flower with heart shape quilling, and Newborn quilled card. Some of our wall frame projects with quilled flowers include this Monogramed quilled flowers, textured canvas art, and Foxglove flowers and bees. We have also used it to decorate folder covers with washi tape and quilling, and quilled ducks. We have also made beautiful jewellery with quilled roses, and magnets with quilled shapes. We find the Quilling Creations: Flora and Fauna an inspiring kit to decorate our home with lovely paper craft, or use quilling to create colourful gifts! The kit includes a rolling tool, ready-to-go paper strips in multiple colours, and a thorough guidebook to get us started. 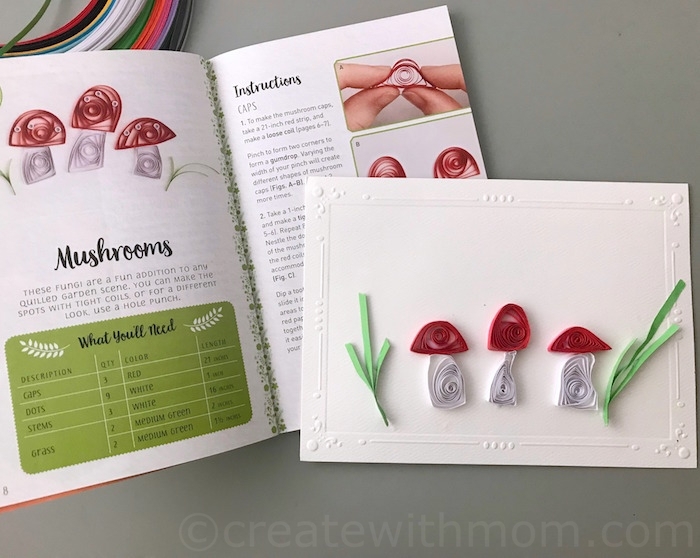 To kick things off, it features ten elegant projects with step-by-step, photographic, instructions and expert introduction to basic techniques for rolled paper art. 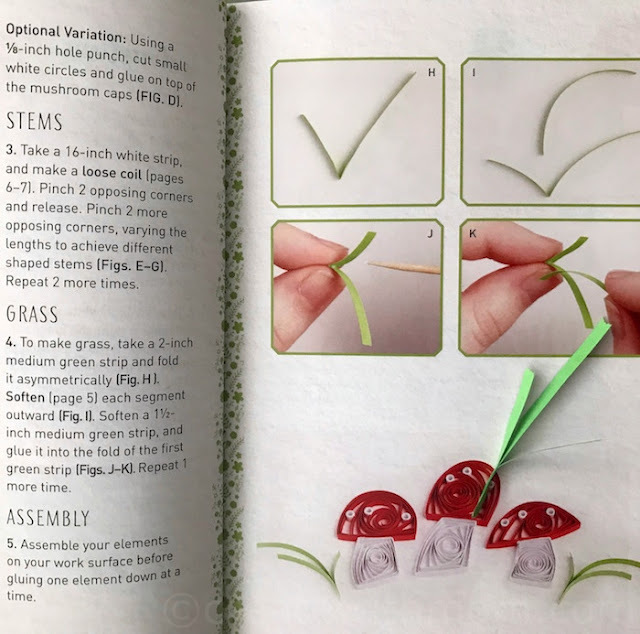 Follow the step-by-step images of the instructions from this book to quill mushrooms. This kit ISBN: 9780760355268 by beckerandmayer! 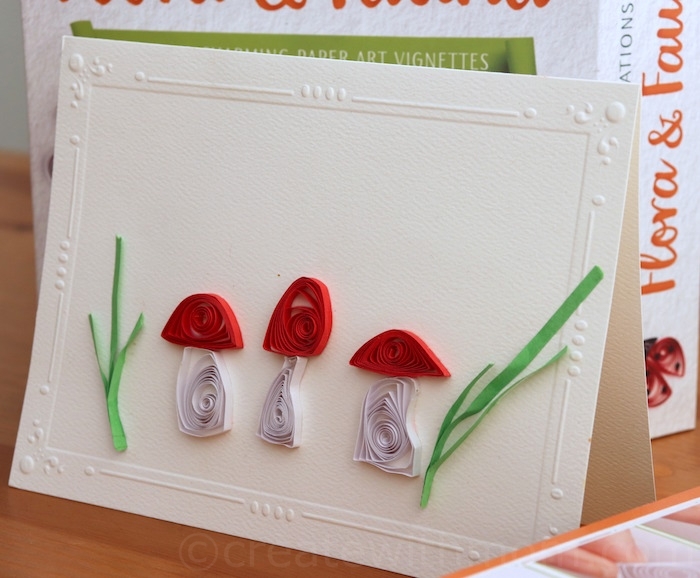 sold for $18.99 US, $24.99 CAN would make a wonderful boxed gift to give anyone who wants to learn the art of quilling. All rights reserved on photographs and written content Createwithmom © 2010 - 2018. Please Ask First Disclosure: For reviews and/or sponsored posts on this site I may have received special perks as part of my affiliation. Please note that all opinions and thoughts expressed are my own. I've learn something new today! I didn't know this was called "Quilling" nor that there are books on it.